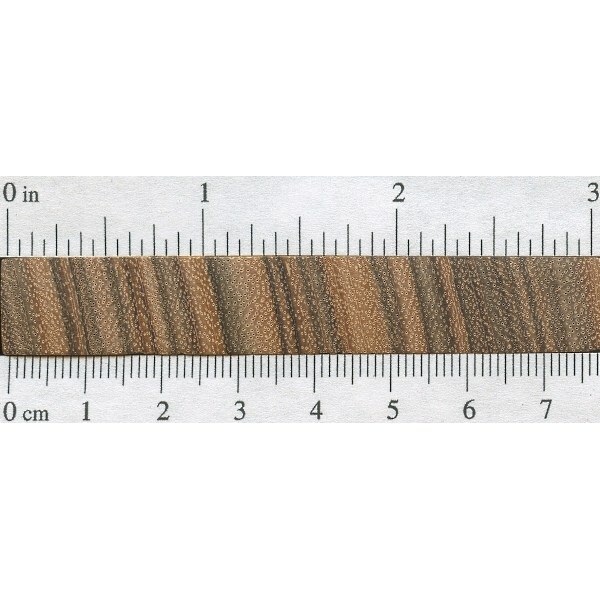 Color/Appearance: Heartwood is a light brown, commonly with alternating darker stripes throughout. 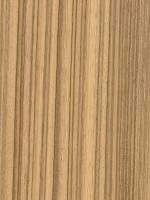 Quartersawn sections in particular exhibit a Zebrawood-like appearance. 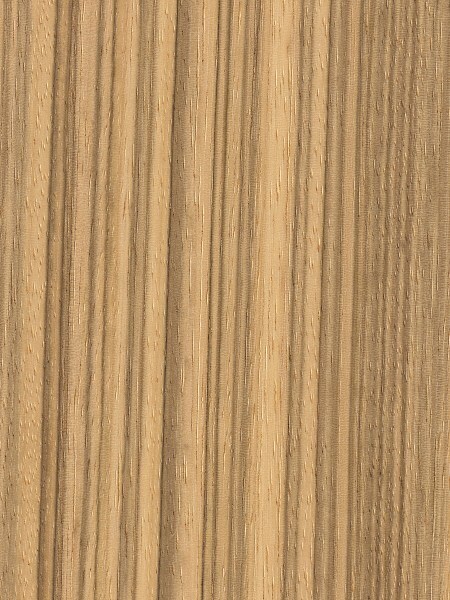 Wide sapwood is a pale yellow and is clearly demarcated from the heartwood, and lacks the darker stripes. 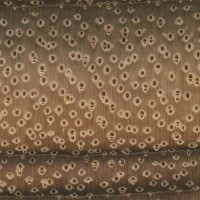 Grain/Texture: Grain is usually interlocked, with a uniform medium to coarse texture. Moderate natural luster. 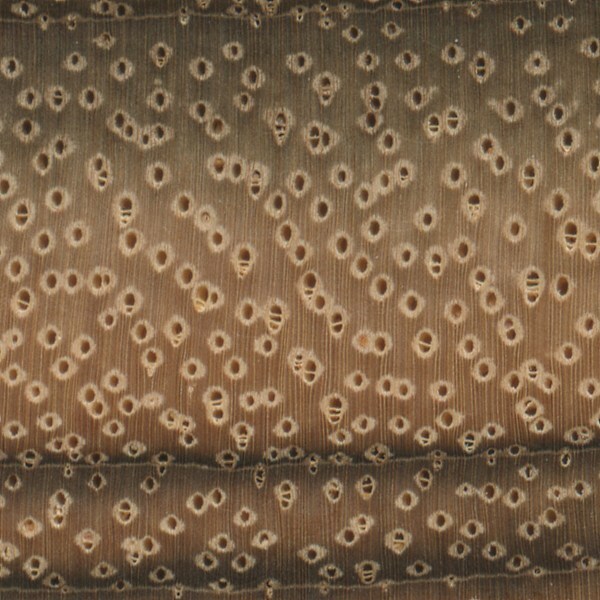 Endgrain: Diffuse-porous; solitary and radial multiples; very large pores in no specific arrangement, very few; heartwood mineral/gum deposits occasionally present; parenchyma lozenge, confluent, and marginal; narrow rays, spacing close. Rot Resistance: Rated as moderately durable, with moderate resistance to insect attack. Workability: Generally easy to work with hand and machine tools, though tearout can occur on sections with interlocked grain. Beli is considered to be somewhat unstable in service, with high movement. The wood will also react with ferrous metals, developing stains and discolorations when in contact with iron. Glues and finishes well. Allergies/Toxicity: Besides the standard health risks associated with any type of wood dust, no further health reactions have been associated with Beli. See the articles Wood Allergies and Toxicity and Wood Dust Safety for more information. Pricing/Availability: Native to Africa, Beli is not commonly exported. 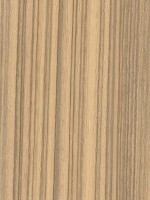 Beli is sometimes available as veneer or dimensional lumber; expect prices to be in the mid to upper range for an imported hardwood. 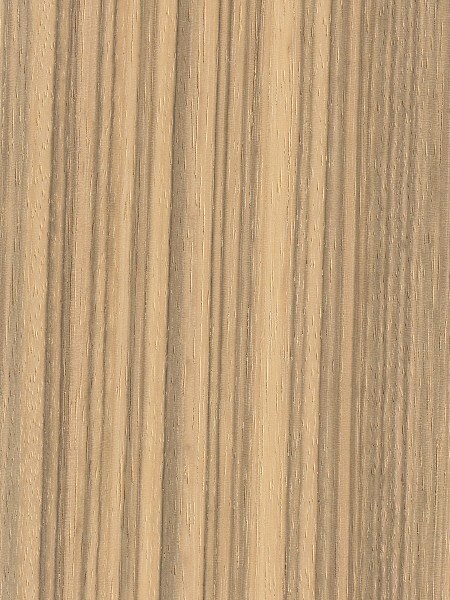 Common Uses: Cabinetry, veneer, flooring, and interior millwork. 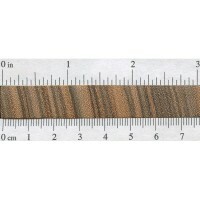 Comments: A more economical (though much more uncommon) substitute for Zebrawood. Beli usually lacks the contrast between dark and light portions that are seen on Zebrawood, Black and White Ebony, and spalted woods. Seeing as it’s supposed to be unstable, how does it normally do for boxes? Specifically bandsaw boxes? I worked with some Beli for the first time this weekend. I think it would be fine for a bandsaw box. It appears that the Paraberlinia genus is just a synonym for Julbernardia, with Julbernardia being the currently accepted name for the genus. Beli’s scientific name is ‘Paraberlinia bifoliolata’.